Just when I think that all I ever get in Swap-Bot postcard swaps is junk, I get this AMAZING postcard in a little cat postcard swap. wow I have all but basically given up on swap bot because nothing is the same and everyone is sending junk anymore so I have all but quit it . but love this post card so neat. 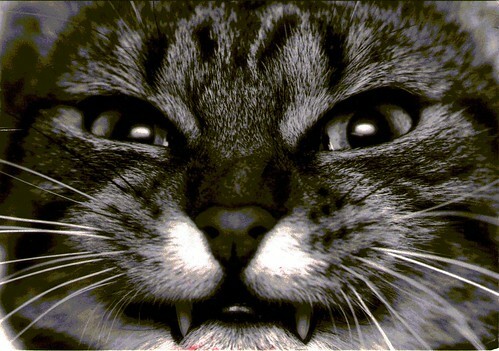 I so would not mess with that cat! Cool postcard.